Further reading: Creative learning spaces “New Work Order” - a study by trend consultant Birgit Gebhardt, available to order from iba.online/service/publikationen/. Inspiring learning spaces How has communication changed between students and teachers in the educational environment? How can the available equipment and media be used to support different modes of communication? For us, these are important questions. With VS furniture and media, we want to help make communication, interaction and learning a success. We want to design learning spaces that inspire, stimulate and encourage new ideas. Learning spaces that promote discussion and contribute to concentration, whilst allowing students and teachers to feel at ease. Results of brain research have taught us, when we feel good, we learn quicker and work better. In the following pages, you will find ideas for rooms that make these inspiring learning spaces possible. These rooms are based on our current understanding regarding teaching and learning. The design of a room always starts with a few fundamental considerations: What type of communication and interaction will take place in it? Is the focus on group work? Does a single person need to communicate information to a large group? Will students need to learn on their own? Will informal discussions take place? All of these considerations can be realised by an intelligent, flexible room design. Some may refer to this as the learning space becoming “the third teacher” or alternatively, “the strategic partner”. In both cases, the following applies: The space has a positive impact. It can inspire individuals to listen, discuss and experiment freely - either working in groups, or independently. To deliver the ultimate in flexibility, the furniture, media and room design all play a pivotal role. All information and details correct at time of publication. Subject to change. To develop our ideas for inspiring learning spaces, we constantly strive for sources of inspiration. Our collaboration with experts from the worlds of pedagogics, teaching and school practice, ergonomics, interior architecture, technology, trend and behavioural research, ensures we are always at the leading edge of innovation. VS Vereinigte Spezialmöbelfabriken GmbH & Co. KG ... is Germany's leading manufacturer of school furniture, operating worldwide. The family-run company is also successful as a supplier of fittings for office buildings and construction projects. VS has been developing, manufacturing and marketing equipment and media solutions for the knowledge society for nearly 120 years, including schools, universities, administrations, ministries, companies and corporations. VS head office and sole production site is located in Tauberbischofsheim in Baden-Württemberg, Germany. It also has branches and subsidiaries in Europe, the USA and the Near East. With a workforce of 1300 employees, the VS Group achieves annual sales in excess of 200 million Euros. A source of ideas: OWP/P Architects, VS Furniture, Bruce Mau Design: The Third Teacher ISBN-13: 978-0810989986 Following the principle that “the space is the third teacher”, the authors examine the question of how the design of the learning space interacts with learning in children and provide stimulating ideas about how schools can develop to become inspiring places of learning. Room ideas for schools Designing spaces for interaction and communication. Communication, cooperation, creativity Pedagogic concepts need the right space to bring them to life. They need rooms that respond to different learning phases and requirements. Spaces that permit, inspire and encourage new learning experiences by providing the freedom and flexibility necessary for communication, cooperation and creativity. In short, spaces that inspire. Spaces like these demand versatile equipment and a range of media-based capabilities. They also fulfil another fundamental requirement for successful learning: an atmosphere that promotes well-being. All these needs are met with our varied room ideas for schools. Be inspired! Everything as it should be. Digital solutions work best when they are individually planned. Only then, can they open up new teaching horizons. The digital classroom Find more information on interactive media in our brochure â&#x20AC;&#x153;Das Systemhausâ&#x20AC;?, available from www.vs.de/de/kontakt/. The Shift+ Landscape cabinet can be extended to provide a battery charging point. The modern classroom – designed for digital Just close your eyes and imagine. Your school is connected to the broadband network, the WLAN is working without a hitch and you can log in from any part of the school building! Every student has a tablet that can be securely integrated into the school's network and is immediately ready for use. When teaching is over, the devices are placed in a lockable cabinet or tablet case where they are charged. Tasks and results can be presented, shared or worked on together, thanks to presentation apps or a wireless presenting system. The medium used by everyone jointly is a largeformat interactive display – possibly mounted on a mobile frame so that it can be moved for group work. Why not also with analogue writing surfaces? They always come in useful. All digital applications can be controlled from the teacher's table, where you can operate programs on the interactive display. From your own laptop, you can access the students' individual devices and give support as required - or make particularly successful results available to everybody. Too good to be true? Not at all! This is how your teaching spaces could look right now! Our experts from “das Systemhaus” will help you on your way. From day one, we think about and plan furniture and technology as a whole. This is the basis for sophisticated digital learning space concepts that really work - perfect for you and your requirements. Optimum networking. The classroom of tomorrow already exists today: See how intelligent digitalisation contributes to teaching and learning. Transformable. A room solution that permits unrestricted pedagogic and methodological freedom. Thanks to furniture that reacts perfectly to every change of scene. Versatility in a single space One space, many possibilities - that is the defining characteristic of the modern classroom, which is why we prefer to call it a learning workshop. It provides all the design freedom that creative teaching, with its multifaceted methods and organisational forms, requires. Plus, it can be restored to its basic configuration again at any time - ready to be redesigned for the next challenge. The starting point is to question the nature of communication: Who is interacting with whom, how and with what aim? This gives rise to the arrangement of the furniture in the space. Like the home - certain activities need a certain environment. For example, cooking is best done in the kitchen, where everything from pepper, to pots and pans are close at hand. If there is more than one cook at work, then tasks have to be clearly distributed. When a family meet to make important decisions, everyone tends to sit around the table, in order to think and decide together as a unit. Homework is often done at the dining table, where a helping hand is available in the background, if needed. Only when concentrated study is called for, a retreat to the bedroom is a better option. If there is news to report, everyone is captivated by the person bringing it - who often stands firmly in front, so all can see. A learning workshop also makes all these situations possible - different from home naturally, but still utilising a single space: Work at a workstation, group discussions, teamwork, individual assistance, silent concentration, teachercentred teaching and much more, as required. The furniture must play its part too, of course. Learning workshop Permanent reinvention. A multitude of possibilities, thanks to furniture that supports a vast range of learning modes that can be combined to meet all requirements. More flexible ways to learn Designing learning spaces means designing for communication. Every environment influences the interactions that take place within it. For input phases and presentations, the furniture in the room is best set up facing the front, as can be seen on the previous double page. With this arrangement, the entire group can face the person who is presenting the information and concentrate on them. The group work that follows this input benefits from team tables that can be easily moved together in the room. Each group organises itself in its own space, but can swap ideas and discuss with the others, whenever needed. Quiet working alone, research tasks, or individual support, all demand individual workplaces that are sheltered from any surrounding activities. This can all be achieved quickly and conveniently, in a single room, then reorganised again whenever necessary. All possible thanks to our versatile, easily combinable furniture. It can be moved quickly and easily too - even by primary school pupils. The shape of the tables means they can also be easily combined for inclusive group work. Supplementary items such as screens, subdivide the room into individual spaces as required helping to facilitate flexible teaching. A place for everyone. The motto here is: Self-organisation. To permit this, the marketplace provides a multifunctional infrastructure with something for everyone. their own choosing - or getting on with work from the class timetable. It's also an ideal location for team teaching. Every school is a microcosm - a miniature world in its own right. Just like a marketplace is the heart of the town - as the centre of activity and experience - the marketplace as a concept brings a similar inspiration and impetus to the school. To allow mixed-age groups to work together, it is also necessary to have chairs that allow everyone to sit at eye level. In this context, the marketplace becomes the shared heart of a learning community. It can be used by everyone at the same time and across groups. It allows classes to gather together, whilst promoting a sense of community. That's why we developed the Level, a student's chair with adjustable foot support. Whatever their stature, students are able to work at the same table height and sit on a chair that's always proportionally right for them. Market place Central location. A centre that encourages team spirit and a love of learning – versatile in use and the unfailing guarantor of a positive atmosphere. You will find more ideas on variable room concepts in our â&#x20AC;&#x153;Shift+â&#x20AC;? brochure, available from www.vs.de/en/contact/. Always different Schools with marketplaces report that the extra freedom of movement and action they bring has a positive effect on the learning atmosphere. Students are motivated to learn on their own. The desire to learn and team spirit is boosted, whilst annoying disruptions and noisy distractions are reduced. The design of the marketplace leaves room for imagination. A centrally located room is ideal but an access corridor, where all classes in the learning group join, is also suitable. Mobile tables have proven their worth as flexible furniture. They can be quickly combined to form different configurations, depending on the type of communication desired. Folding tables on castors can be introduced quickly whenever needed and can be tidied away just as fast, to save space. As a result, the marketplace acts as a multifunctional space that can also be used outside of teaching hours - for assisted homework or meetings, for example. Learning office Silence please. A place for concentrated work, together with immediately accessible storage space. In other words: A modern student's workplace. expression - from primary school through to high school. No one-size-fits-all solution will work, because each learning space presents a unique set of challenges and requirements. The result was a flexible, modular system. All the products in the VS learning office can be optionally fitted with castors. This makes it easy to change the arrangement and therefore also the nature of the space. The surfaces and table frames are available in different colours to lend atmosphere to the room - whether bright and cheerful, calm and soothing, or clear and classical. You decide! Another thing: The learning office is also available as a variant for teacher's workplaces (page 30). The arrangement in a cross, acts as an inviting learning island right in the middle of things but still private. With the square CrossTable, it makes it easily possible to work together with a partner. The arrangement in a row along the wall saves space and leaves a lot of free room for the user. It provides cosy learning niches in which students can concentrate without distractions. Our area calculations are based on the recommendation that there should be a space for movement of at least 70 centimetres behind a workplace in the classroom. Learning office: Example arrangements and space requirements The VS learning office is based on an individual table and shelf unit, combined with other tables and shelf units to form different learning spaces. The block arrangement structures the room and creates different learning areas. Students sit opposite one another in pairs and are able to converse. In the space-saving alternating arrangement, the learning office provides considerable personal free space. The LearnBox, which is positioned between the square tables, can be used on both sides - saving space and permitting a variety of group arrangements. When used together with the triangular TriTable, the arrangement in a cross takes up even less room. However, it still provides everything necessary for focussed work - including a niche-type feel to improve concentration. Chill-out Sit back and relax. Even at school, it's almost possible to feel at home: For that, there is a place to withdraw, reserved exclusively for rest and relaxation. mats, low tables and mobile shelving all combine to create cosy corners, or inviting islands, where students can meet and talk. Of course, we fully appreciate soft furniture and cushions need to be tough and easy to maintain in this environment. Although designed to be highly practical and robust, they are also visually attractive - with a strong aesthetic appeal. We hope you agree! Canteen/ cafeteria The social hub. A place in the school where people meet and talk - optimally equipped with the right furniture for midday lunch, as well as evening events. room is also needed for events, folding tables and comfortable stackable chairs are the most practical solution. Lastly, a room used by so many people must be practical and easy to maintain. Here, the attention to details in our furniture can make all the difference: Are the tables and chairs robust? Can the surfaces be wiped clean easily? Can the chairs be suspended on or under the table top in order to sweep the floor? We consider all practicalities before we begin designing our furniture, incorporating innovative solutions wherever possible - ensuring a highly efficient, practical, replenishing environment for all to enjoy! Base station for the teaching staff The teachers' working day also benefits from an inspiring environment. In the coming pages, we place the focus on staff rooms. The staff room is the starting point for the day the school cannot function without it. Teaching teams needs a shared space where everyone can meet and use as a base for joint work. A space to look in on, share experiences, make fresh plans, discuss thoughts, or perhaps even celebrate an event or special occasion. The cabinets have a personal locker for each teacher. Here they can keep a set of exercise books or store teaching material for their afternoon classes. Specialist publications and daily papers are available on the open shelving. A dish of biscuits also waits temptingly on the table! Conference tables with comfortable work chairs, invite participants to join in group discussions. Here, the entire team or staff in a single department can come together to discuss matters. There's also space for a quick coffee, or a chat with colleagues. A team space like this is the perfect start for the working day and also interim periods throughout the day. Are you already acquainted with the eddy toolbag? This robust bag made from compacted, naturalfibre reinforced felt is a helpful companion throughout the school day. Inside, it has space for everything you need while teaching, including a laptop and water bottle. Whether in the classroom or workroom, it can simply be clamped to the table top, so that all your documents are close at hand. When the eddy toolbag is not being used, it can be parked in the lockable eddy cabinet compartment. A particularly practical aspect is that colleagues can insert messages through the slot in the cabinet door. Space to breathe. A dedicated area for teaching staff to congregate: The starting point for the day's teaching experience and a communicative meeting place for the team. Teachers' workroom Getting the work done. The teacher's personal workplace directly in the school environment. Not a luxury, but a vital part of a modern teacher's working day. The school's workroom Studies have shown: Personal workplaces in the school can help make life easier for staff. At their personal workplace, they can concentrate on daily tasks in peace and quiet without distractions. For example, preparing classes, setting and correcting exercises, writing letters to parents or organising class trips and excursions - something the noisy staff room environment does not easily facilitate! This type of workplace can also be used to share ideas with colleagues, discuss teaching methods, or to prepare a joint project. In addition, this is particularly successful when using a stand-at table, because regular standing helps keep the mind more active. If seats are added in one of the corners, then this type of room can also be used for parent meetings. Workplaces in the school can do more than just reduce stress, as our example shows. They also have the potential to change the team culture among staff, by encouraging more regular teamwork. Teachers' lounge Please take a seat. Just switch off and forget the day's challenges. The comfortable, homely lounge furniture is the perfect invitation to stop and refuel. A haven of relaxation in the working day No one is able to work with inexhaustible energy from morning to late afternoon - not even the most stress-hardened teacher. A busy day at school needs to balance sensibly between working and breaks, in order to maintain a healthy rhythm and maximise productivity. We mean real downtime too, not â&#x20AC;&#x153;I've just got something I need to finishâ&#x20AC;? breaks! A lounge is an inviting place to withdraw and retreat. The comfortable, welcoming furniture makes it immediately apparent this is a place for relaxation. For example, teachers can casually browse a newspaper in peace and quiet an opportunity perhaps missed earlier that morning? They can also chat informally with colleagues over a coffee, or debate the latest news about educational policy. As a more novel idea, they could even point the armchair toward the window, take in the view and enjoy a carefree daydream! Wouldn't it be wonderful if a lounge area of this type could be used by all the school's staff whether teachers, administrators or educational support personnel? This way, the team can go beyond simple shared tasks and enter into a more close-knit social interaction. 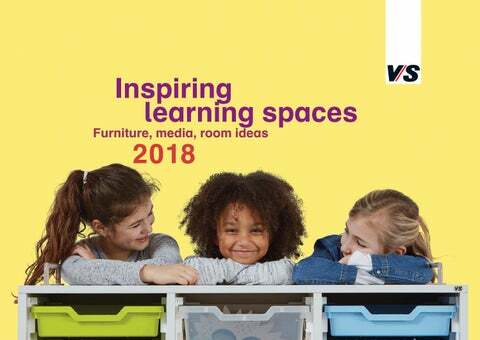 New in 2018 Forward-looking furniture solutions for different learning environments in the modern school world. Furniture for inspiring learning spaces When we start to develop new items of furniture, our first question is: How can we design school rooms and classrooms that are inspiring learning spaces? Our aim is to facilitate the widest possible spectrum of communication and discussion scenarios in schools - now and in the future. We don't need to reinvent the table and chair. However, it's vital they fit into different learning environments, to inspire teaching and provide flexible learning opportunities. These challenges demand intelligent solutions. For example, flexible folding tables, unconventional active stools, or versatile elements to facilitate play-based learning for young children. Find your inspiration in our new products! Fold out, engage, done! Folding tables are an outstandingly practical solution. They can be erected and stored away again quickly, wherever and whenever needed. They also provide a useful back-up option, whilst minimising storage space. Clapp-T A perfect fold. These tables can be used quickly and easily whenever needed. The Clapp-T is available in a range of sizes, has a sturdy design and can be erected in seconds. The rigours of everyday use can place heavy demands on folding tables in the school environment. The Clapp-T excels here because it is extremely robust, yet very easy to handle. The folding mechanism is simple to operate and can be locked securely. When folded in, the Clapp-T subframe is protected inside the outer frame. A stack protection mechanism ensures that stacked tables are not damaged and that there is no pressure on the subframe. Hokki+ The height-adjustable active stool Hokki is the perfect solution for dynamic sitting. Thanks to its rounded base, it can move in all directions when seated, permitting varied changes of posture effortlessly. Not only is this fun, it also aids motor capabilities. The Hokki is now also available as the heightadjustable Hokki+ variant. The two models have a height adjustment range of 38 to 50 or 50 to 68 centimetres. This makes it possible to cover all school requirements. The Hokki+ is extremely stable but also exceptionally lightweight and can be handled with ease by children and young people. Its gas spring height adjustment with anti-twist protector results in greater stability and seating comfort. The adjustment mechanism is immediately accessible and can be triggered from any position. Unkonventionelles Multitalent. The Hokki's body is made from recyclable polypropylene. This makes it extremely scratchresistant and highly durable even when used in the toughest everyday conditions. Gugl Storage space included. Under its cover plate, the stable, lightweight Gugl cylindrical table has ample storage space for mats, carpets and back support rolls. Together, they create an ideal playing and learning environment for younger children. Children under the age of 12 generally like to work on the floor. Here they can change their body position, moving freely in ways that feel more natural to them. The FloorFriends concept has been designed to encourage concentrated floor-level learning. Comfortable, slip-proof carpeting and padded mats are perfect for lying, sitting, kneeling or crouching. The portfolio also includes low tables; For example the triangular TriTable-II - superb when combined with another table of the same type - or the stackable Gugl cylindrical table. With a stable, lightweight plastic body, the Gugl fits into any corner and can be quickly moved to the centre of activity. It offers a large amount of storage space accessible under the cover panel, where mats, carpets or back support rolls can be conveniently stored. The cover panel is also available with optional pen holders. Shift+ Welcome FloorFriends! Gugl, TriTable-II, padded mats, carpeting and back support rolls are the ideal complement to the Shift+ Landscape furniture series. In this way, the FloorFriends concept for floor-level learning can show full potential. LuPo seat shells Even more comfortable seating. With the air-cushioned seat shell made from double-walled polypropylene, we've set the standard for comfort in schools. Optional cushioning provides additional luxury. Air cushion meets seat cushion Our double-walled air-cushioned seat shells now provide even more comfort, thanks to additional cushioning. This is available in all chair sizes for adults â&#x20AC;&#x201C; including the Compass, PantoSwing, PantoMove, PantoMove-Plus for sitting/standing workplaces and the PantoMove-KiGa for kindergarten teachers. Stacking stone Brightly coloured play and learning space. Encouraging and reinforcing learning is child's play with stacking stones. They are highly versatile in use, both indoors or outdoors. They can also be cleaned without difficulty whenever required. Learning in a playful environment The stacking stones are lightweight, versatile and multifaceted. They can be quickly and easily used to form a seating circle for both children and adults alike. Adults simply stack more stones up to a height suitable for them. The result allows everyone to sit in a group quite comfortably, with a more natural interaction close to the floor. Playing, swaying and testing one's skills, but also learning in a colourful, playful environment that stimulates and develops motor abilities. Stacking stones extend the FloorFriends concept and provide a motivating challenge for children of different age groups. TriUnion Thinking on your feet. Standing is moving â&#x20AC;&#x201C; a continuous transfer of loads designed to stimulate the metabolism, allowing the brain working more effectively. Getting thought moving Standing stimulates the metabolism and helps maintain concentration. When they stand, people are more mobile, more agile and able to react faster. This also has an impact on their intellectual and physical activity. Together with experts from the worlds of teaching and ergonomics, we have developed the TriUnion, a triangular stand-at table with a dual-height, all-round foot ring. We have observed that the triangular table top is particularly advantageous for team and project work. The three sides provide enough space for small groups. When larger teams are involved, additional tables can be added. At a height of 106 centimetres, the TriUnion is the perfect place for young people and adults to work together. Children feel comfortable at the 88-centimetre high TriUnion â&#x20AC;&#x201C; a height at which adults can join them without difficulty, using a seating support. 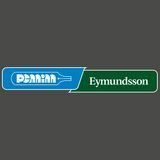 Certificates Labels of quality and environmental certificates for VS furniture and materials. Strictly monitored and safe We feel a responsibility towards our employees, our environment and society. Our corporate principles include sustainability in production and the durability of our furniture. We regularly subject our products to independent inspections regarding their quality, safety and environmental responsibility. We manufacture all our furniture in Germany in an environmentally responsible and equitable way. We design our tables and chairs to fulfil ergonomic criteria. Prestigious national and international certificates testify to our high standards in terms of environmentally responsible production quality. Quality label of the Federal association for posture and movement promotion (Bundesarbeitsgemeinschaft für Haltungs- und Bewegungsförderung e.V).